The Artis magazine hit an unprecedented landmark less than thirteen months— and three issues—from our launch—The Artis magazine was nominated in the “Creative Design—Emerging” category for the 2018 MARTY Awards! Every year, the Mississauga Arts Council (MAC) hosts the MARTYS, facilitating emerging and established artists in all genres, helping to enrich and make Mississauga one of the most stand-out and culturally rich communities in Ontario. The Artis magazine is proud to be a member of MAC. See all MAC has to offer the community and its members; think events, work, internship, networking opportunities, and so much more. Loving the backdrop at the MARTY pre-party for Finalists! 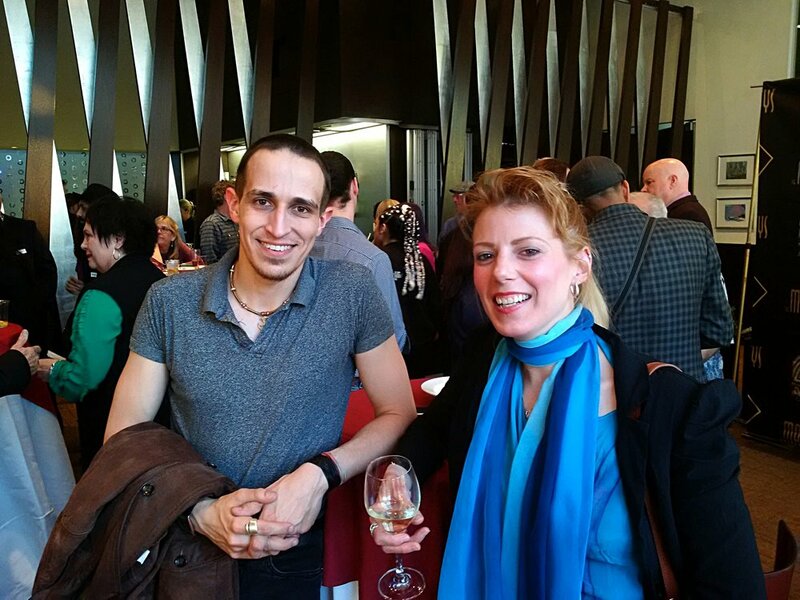 “Literary Arts—Emerging” Finalist Paul Edward Costa and I are surprised to find out we are both MARTY Finalists! Look for his poetry and prose in an upcoming issue of The Artis! MAC President Jeannette Chau takes the podium at the MARTY ceremony and announces the beginning of the gala! Fashion designer Maya Charbin wins in the “Creative Design—Emerging” category. “Music Group—Established” Finalists ViVA Trio perform with their signature vocals. Talent! And then some! 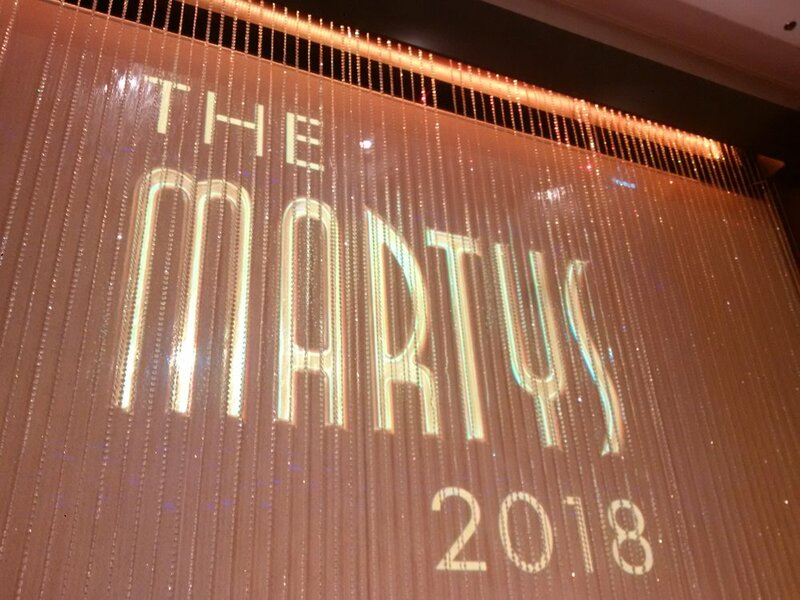 Exclusively for MARTY Finalists, the pre-party was a packed room of talented artists, writers, musicians, designers (fashion, stage-sets, jewellery, magazine), performers, and more. Mississauga Mayor Bonnie Crombie gives a keynote speech, and wears one of Maya Charbin’s award winning designs. Myself with my fellow finalist nominees (the competition was tight!) in the "Creative Design—Emerging" category, jewellery designer Carlos Herrera, and fashion designer and Mississauga sensation, Maya Charbin. Fellow Finalist in the “Creative Design—Emerging” category, Maya Charbin and I have a selfie moment! 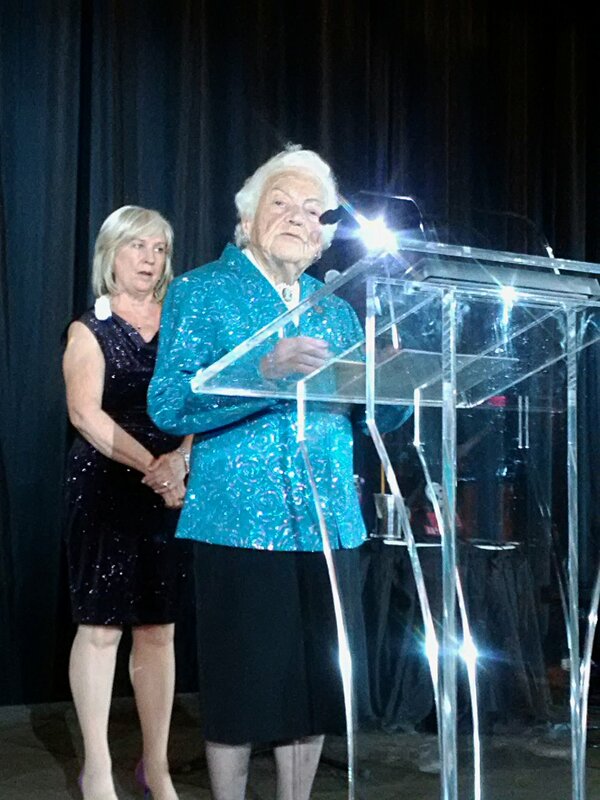 Hurricane Hazel McCallion reflects on her initiatives that got the Mississauga Arts Council going in her early days as Mayor; awed by the fabulous work and unprecedented cultural impact MAC and the community has accomplished to bring art & culture into our daily lives. 700 Guests fill the ballroom at the MARTY gala! “Literary Arts—Emerging” WINNER, poet champion Michelle Hillyard gives an impassioned acceptance speech! “Music Group—Established” Finalists Keys to Belfast perform and take the audience by storm, sweeping Jeannette Chow off her feet! Fun Fact: Keys to Belfast won “Music Group—Emerging” at the 2017 MARTYS where three-times platinum internationally famous Meadowvale band Billy Talent took home the trophy in the Established category!